For years I used to travel without travel insurance. My first major backpacking trip was composed of a 3-month jaunt around Central Europe and Eastern Europe, sans insurance. I remember sitting on a bunk bed in Croatia and talking with fellow travelers as they described harrowing experiences when they had to be hospitalized in foreign countries. When I told them I didn’t have travel insurance, they looked at me like I had three heads. After that, I started considering travel insurance! I tend to flop back and forth between being extremely risk-averse and risk-sensitive. I’ll take a chance on most things, unless they will haunt me at night. Sometimes ignorance is bliss – for example, I’ve traveled copious amounts through Thailand, Korea, and Vietnam without ever getting any kind of vaccinations. For this trip to Brazil I decided to actually look at the CDC website and got pretty freaked out. Now I’m out $550 but at least I’m covered for yellow fever and hepatitis A for life (and typhoid for a few years). Anyway, back to travel insurance. For my 1.5 month trip to Barcelona and Brazil via Nomad Cruise, I don’t care much about my belongings – there’s nothing in my bag I can’t replace. However, my bodily safety is something I am more eager to watch out for. World Nomad tends to be the most popular travel insurance plan, but it’s a bit pricey for my taste. It’s great for those who are into extreme sports, as most policies won’t even touch you if you plan on adrenaline-junkie activities. I’ve found that Allianz is pretty reliable and cheaper than World Nomad. I’ve used them a few times, but have never had to file a policy. Reading up online though on various threads, Allianz seems to be legit and many have had no issues with their policies. In general, the only time people seem to have issues is when they don’t understand their policy. For example, you can’t just cancel your trip because you don’t feel like going and be reimbursed. I don’t know of any policies that will cover that. Most trip insurance policies only cover a change in travel if you or a direct family member gets hurt. Obviously, there’s more fine print than just that but the point is – know your policy! Like I said, I just don’t want to go bankrupt if I need medical care while abroad. 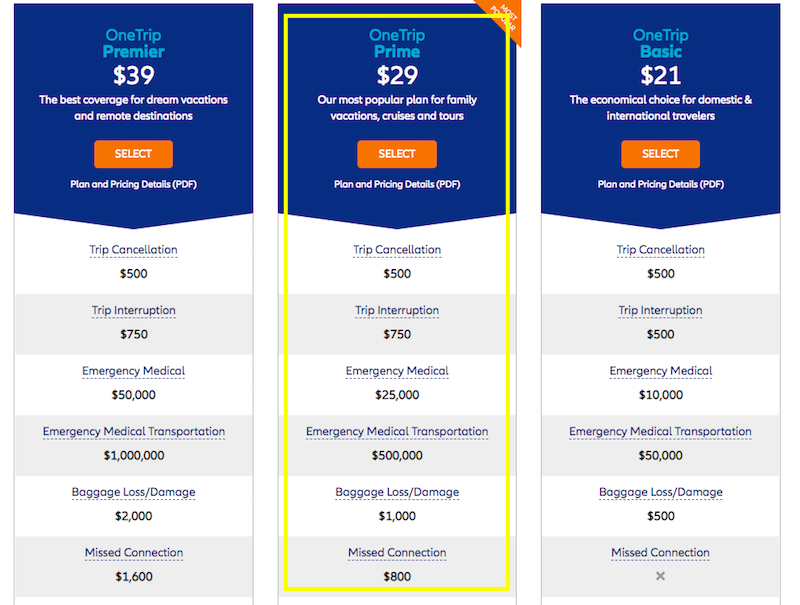 I was able to find a plan through Allianz that, for my 1.5 month trip, is just $20 – $30. I set my trip cost to just $500, which basically erases any benefits I might get from missing luggage and last-minute trip cancellations or changes, but like I said, I don’t really care about that. I’m more interested in the emergency medical and medical evacuation coverage. I decided to go with the $29 plan which offers $25k for medical emergencies and $500k for emergency medical transport, which are the two things I’m concerned at all about. Oh and here’s the coolest thing (the “hack” I mentioned in the title) – if you set your trip to 364 days, just short of a year, the price of this plan is the same and lasts all year. So when I go on another international trip in a few months, I’ll be covered then too. And all for $29. Pretty sweet deal if you ask me! In truth, I will probably never need to use this policy, but for $30 it’s well worth the peace of mind I’ll get.